Golden Retrievers are one of the most popular dog breeds out there, and there’s a good reason for it: they’re incredibly sweet and loyal. The American Kennel Club says that Goldens are “kindly, friendly and confident,” traits which make the dogs ideal for pets. On top of all that, they’re also super cute! And we have the evidence to prove it right here. Anyone who knows a Golden Retriever will love this collection of the cutest golden pictures around. Goldens sure love to nap, and this tiny pup looks like he already has that skill down pat. 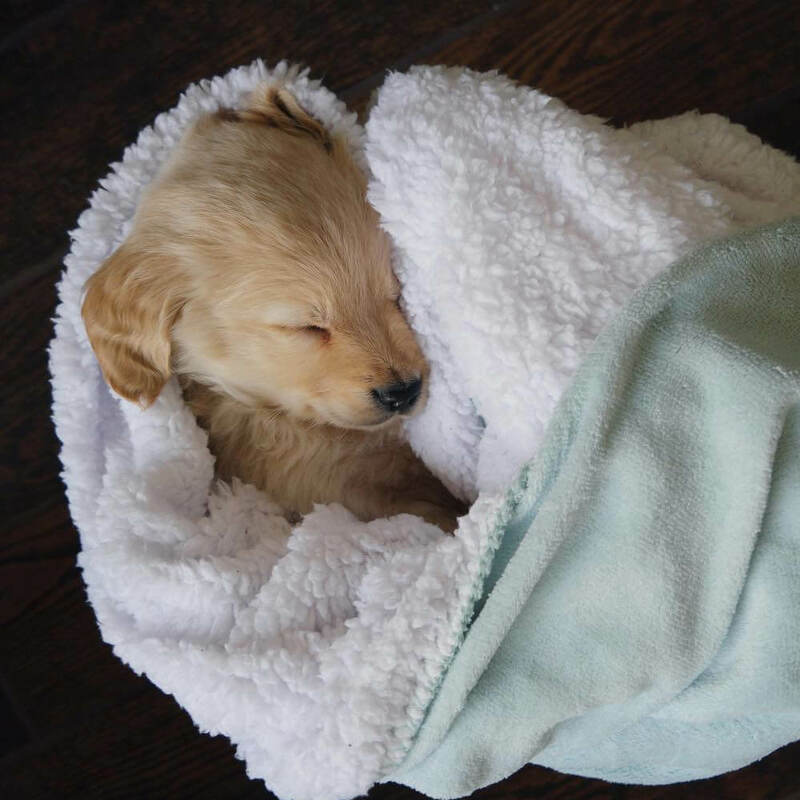 There’s nothing cuter than a tiny Golden Retriever swaddled in a blanket like the baby he is. We’d sure love to smell his sweet puppy breath!